Belise Nishimwe remembers what it’s like to feel voiceless. 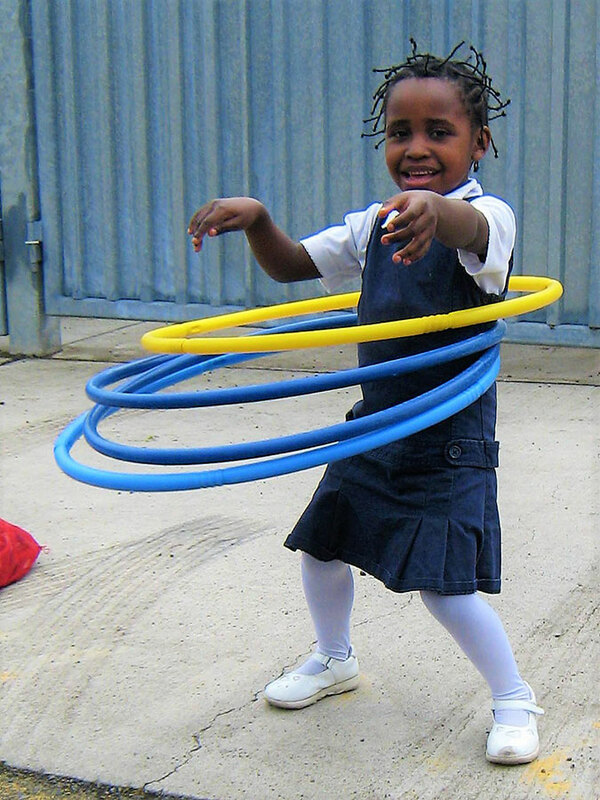 Born in a refugee camp in Tanzania, she came to Portland at age 5 unable to speak or understand English. She couldn’t pass her first year of kindergarten. At the end of April, Nishimwe will share her vocal and inner power at a national poetry competition in Washington, D.C. The St. Mary’s Academy sophomore last month was named Oregon’s Poetry Out Loud champion, beating about 8,000 high school contestants in the state, according to the Oregon Arts Commission. The commission organizes the state contest in collaboration with the National Endowment for the Arts and the Poetry Foundation. “Other students gave beautiful recitations — performances — but Belise does not perform her poems; she speaks them as though they were her words; she inhabits them,” said Ellie Gilbert, an English teacher at St. Mary’s who coached the 17-year-old for the competition. Poetry Out Loud competitors select poems, then study, memorize and recite them. Nishimwe won first place for her recitation of “Love’s Philosophy,” by Percy Bysshe Shelley, an English Romantic poet; “If We Must Die,” by Jamaican-born Claude McKay, a key figure in the Harlem Renaissance; and “Worth,” by Marilyn Nelson, whose work examines race, feminism and the ongoing trauma of slavery in America. Two of the poems are by black activists, and Nishimwe wanted Shelley’s piece in the mix to show a different part of herself. Nishimwe’s family escaped genocide in Burundi and spent about 10 years in a refugee camp. 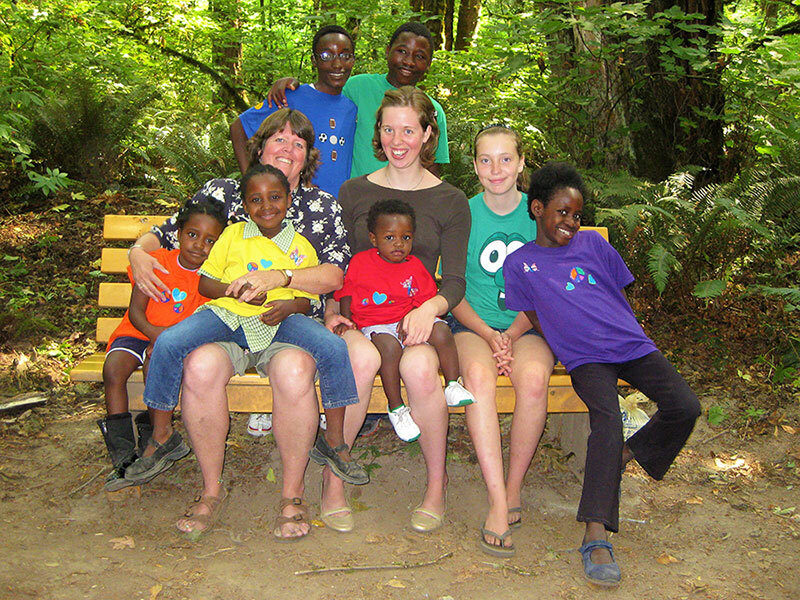 They resettled in the United States in 2007 with help from Oregon Catholic Charities and parishioners of Holy Redeemer Church in North Portland. Salvi said the support the family received is an inspiring expression of community and faith. Holy Redeemer parishioners helped find the family an apartment, taught them how to ride the bus, and provided everything from furniture and clothes to utensils. Weisensee met the family hours after they got off a plane. “It was love at first sight,” she said. That love and her family’s assistance have endured for years. The mother of four even taught Nishimwe and her sisters how to read and speak English. Once she knew the language, Nishimwe began writing poetry and dreamed of being an author. But she stopped composing pieces in middle school when it became increasingly difficult to juggle homework and responsibilities at home. Like her older siblings before her, Nishimwe helps her parents, who speak little English, navigate life in the United States. She fills out forms for insurance and taxes and writes checks and permission slips. 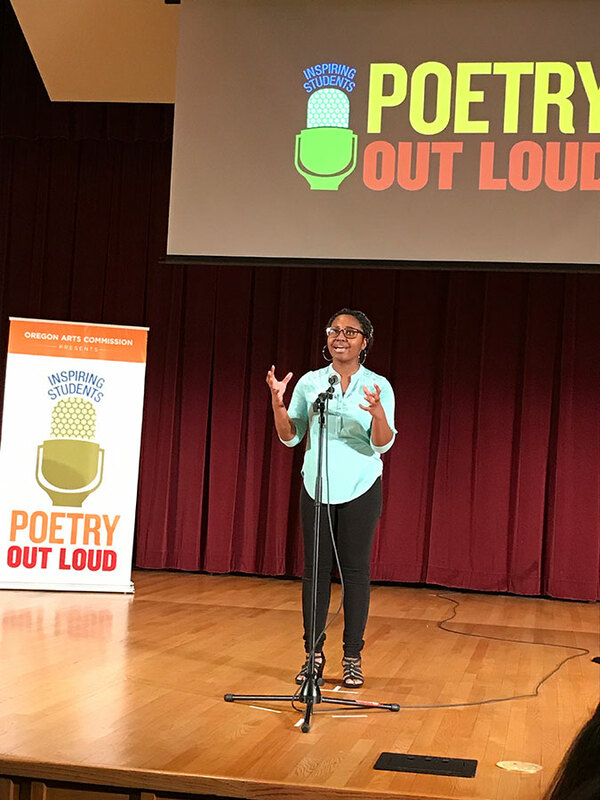 She said the Poetry Out Loud competition “felt like a door back into writing poetry” and the joy it brings. The national competition will be streamed online at arts.gov. Belise Nishimwe and other state winners are set to perform April 30 at 1 p.m. Pacific Time.